Gian Luca Gardini (born in 1972) studied international and diplomatic affairs at the University of Trieste, Italy, and international relations at the University of Cambridge, UK. He completed his PhD in international relations at the University of Cambridge. 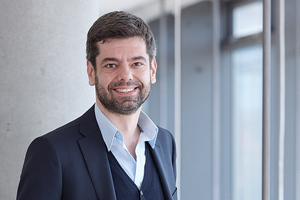 He has been Chair of International Business and Society Relations with Focus on Latin America at Friedrich-Alexander-Universität Erlangen-Nürnberg (FAU) since April 2014. Previously, he was a lecturer and then senior lecturer for international relations and Latin American politics at the Department of Politics, Languages and International Studies (POLIS) at the University of Bath, UK, from 2006 to 2014. He has also taught at the University of Cambridge, UK, has been a visiting professor at the universities of São Paulo, Brazil, Bologna/Forlí, Italy, and at the Universidad de la República in Montevideo, Uruguay, and has been a visiting lecturer at Shandong University, China. He also acted as a practitioner of International and EU affairs. He was project manager for several EU consulting firms, Representative to the EU of the Italian Confederation of Industry, and International Trade Advisor to EUROCHAMBRES, the European Association of Chambers of Commerce and Industry. In 2012, he was seconded officer to the Chilean Foreign Ministry working in the team that organised the EU-Latin American and Caribbean Summit (EU-CELAC). Professor Gardini’s research interests are the international relations of Latin America, international organization, regional integration, foreign policies, and issues related to international power, order, and institutions. His work has been published in several countries in Europe, North America and Latin America.